Ebook $19.99 Download Ebook instantly! Welcome to a world depicting the kidnapping and rescue of a nation's queen in the forest called Filltroske. When an omen is about to occur, or similar oncoming fateful situation, seven individuals are chosen receiving stones that not only increase their strengths but those that join them. 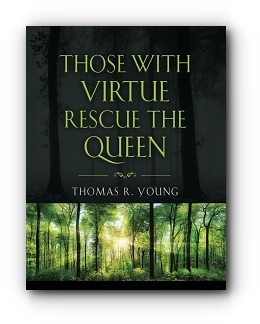 These individuals set out to rescue the queen in that forest where the trees endlessly sway. In a forest where any that enter do not leave unchanged, physically and/or mentally. New categorization theory on classifying and helping video gamers. Thomas R. Young. Book writer as one hobby with a derivative nature of story telling to encompass themes, morals, and emotional appeal. Writings meant to convey a sense of meaningful and purposeful entertainment that can be reflected upon after each sit-down session.